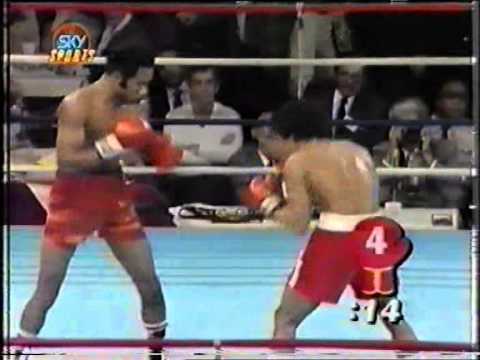 Few champions have ever won as many world title matches as Panama’s Eusebio Pedroza and yet the prolific featherweight’s career is defined more by who he didn’t fight than who he did. 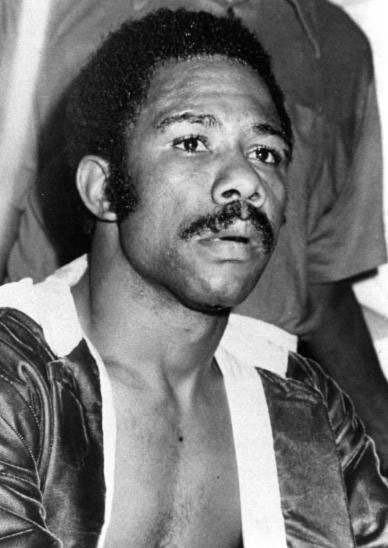 When he won the WBA version of the title in 1978, few regarded him as the best in the 126 lb. division since he was viewed as a “placeholder” champ who owed his success as much to Alexis Arguello moving up in weight as anything else. Also, Danny Lopez, who owned the WBC strap, enjoyed greater prominence, his potent knockout power of more interest to the U.S. television networks. Pedroza never faced Lopez, nor did he fight Salvador Sanchez, the man who took “Little Red’s” title and went on to establish himself as, in the eyes of most, the finest 126 pound boxer in the world. Sanchez would die in a car accident in August of 1982 and Pedroza just kept on fighting, defending his version of the featherweight championship a total of 19 times before he was dethroned by a surging Barry McGuigan. But if Pedroza failed to secure opportunities to prove himself against the very best competition, he still overcame some formidable fighters, including a young, future champion named Juan LaPorte, though many would point out he did so with the aid of some highly questionable tactics. 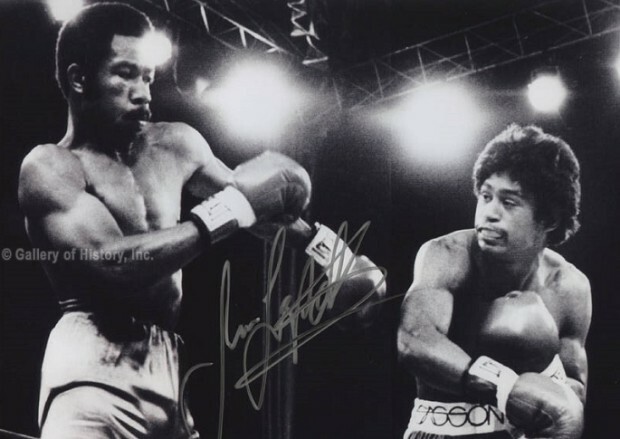 By this point, Pedroza had already racked up 13 successful defenses of his title, while in December of 1980 LaPorte had dropped a 15 round decision to Sanchez. Thus, Pedroza vs LaPorte was a showdown between two of the very best in the division and the match was broadcast on national television. LaPorte, a Puerto Rican by way of New York City, enjoyed the support of the small but vocal crowd at the Sands Casino in Atlantic City, and he gave fans plenty to cheer about in the early rounds, slipping Pedroza’s jabs and countering effectively with the straight right. A flush right hand in round three almost decked the champion and while Pedroza weathered the storm, the punch also marked the beginning of a clinic in dirty fighting. Before the end of the round the champion had struck home with at least dozen flagrant kidney punches and received his first warnings from referee Guy Jutras. When the fighters exchanged punches after the bell, Jutras imposed a one point penalty on the champion. Undeterred, Pedroza established his body attack in round four, mixing legal and illegal blows, and received more warnings from the referee. The champion was taking serious liberties, scoring with kidney and groin punches and mixing in some elbows for good measure. At the end of the round tempers flared as the fighters kept battling after the bell and suddenly the ring was filled with cornermen and officials. Genuine anger and hatred was now evident on the part of both fighters and Pedroza had successfully turned the match into a no-holds-barred brawl. Momentum swung back and forth in the middle rounds. Pedroza seemed to control the fifth but in round six the challenger hurt the Panamanian with another solid right. The seventh saw more low blows and elbows from the champion but he won the round and at the bell LaPorte’s cornerman Emile Griffith jumped into the ring to lodge an angry complaint about Pedroza’s tactics. This may have helped motivate Jutras to deduct another point in round eight, but now the champion was assuming control with an accurate left jab and a punishing right hand to go along with all the fouling. Meanwhile, LaPorte appeared increasingly discouraged. The champion was in charge in rounds nine and ten, beating his man to the punch and maintaining a wicked pace. LaPorte rebounded in round eleven, only to lose the twelfth to Pedroza’s body attack, the challenger pausing to protest more than once to the referee about shots that were south of the border. But while Juan complained, Eusebio punched and punched some more, taking the play from the younger man. LaPorte came back briefly in round 13, scoring with some big right hands, but the champion regained control in the final two rounds as he continued to outwork the challenger with a relentless two-fisted attack. 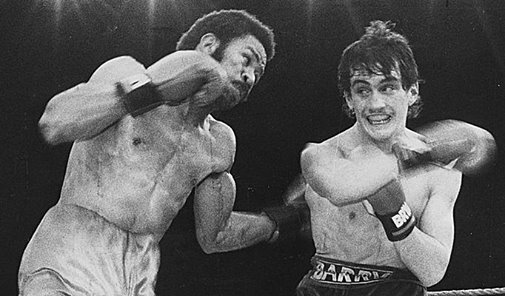 Pedroza would finally lose to Barry McGuigan in his 20th title defense. While Pedroza’s tactics were regrettable, in the end it was his hustle, stamina and an unrelenting body assault that determined the outcome. Jutras deducted a third point in round 14, but by then it hardly mattered; LaPorte was being dominated by the more experienced and seemingly tireless Panamanian. In the end, the scorecards were close, but all were for the champion.